Performance is best enjoyed when it’s combined with convenience. 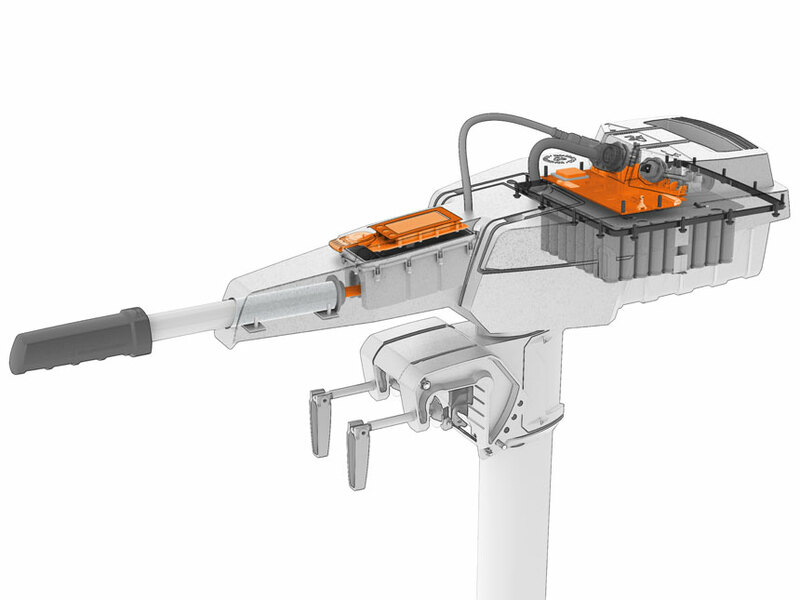 Designing convenience into electrical drive systems is a rewarding task – all system information is available in digital form and can be easily made available to you, the user. Motors and batteries can be simply switched off at the touch of a button. Individual components and entire systems can be designed to be completely waterproof. And products are easy and clean to handle and transport. Switch the motor on and off at the touch of a button – it couldn‘t be easier. After long periods without use, the battery will automatically switch into hibernate mode to preserve the battery charge for as long as possible. Stops the motor immediately when pulled off. As it is actuated magnetically and activates the sensor contact-free there are no problems with water seepage. When using the tiller throttle, control information is transmitted magnetically to a sensor in the control box. No need to drill any holes. Makes information from the on-board computer – including remaining range in miles or kilometres – available in real time. The on-board computer also provides information on battery charge status, current speed over ground as well as input power. And if all this is not enough, you can upgrade the on-board computer with TorqTrac. Makes information from the on-board computer – including remaining range in miles or kilometres in real time. The on-board computer also provides information on battery charge status, current speed over ground as well as input power. And if all this is not enough, you can upgrade the on-board computer with TorqTrac. Just like in your car. The on-board computer will warn you when the power supply is on reserve. Very explicitly. Telling you it's time to head for the shore or reduce speed to increase range. An element of the battery electronics. 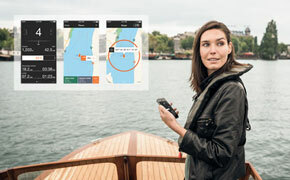 GPS data are made available to the information system of the outboard. 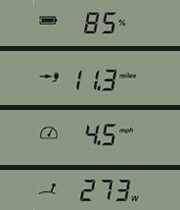 Current speed is an important input variable for calculating the remaining range, keeping you informed at all times about how far you can still travel. How much of the battery charge is left in the battery? What is the temperature of the battery? How much current is it delivering? The battery management system knows it all – and, best of all, shares its knowledge with you. And with the other components in the system. The charging socket allows the battery to be charged, e.g using the charger that comes with the battery, or direct from the 12 V on-board power supply using the practical 12 V adapter, or from the practical foldable Sunfold 37 solar panel. Solar charging of course works during your journey, too. But that's not all. Your Torqeedo battery now comes with a USB adapter that you can use to charge your smartphone or tablet or to power a lamp for small boats. It's just a minor feature but it does increase convenience and safety on small boats in particular. Sometimes convenience also means the absence of something – like less redundant and unnecessary weight. When developing Torqeedo products we focus on cutting weight – through lightweight, high-tech motors, batteries and materials and through a design that takes weight reduction seriously.